I finally concluded that all failure was from a wobbling will rather than a wobbling wheel. I felt that indeed the will is the wheel of the mind — its perpetual motion having been learned when the morning stars sang together. When the wheel of the mind went well then the rubber wheel hummed merrily; but specters of the mind there are as well as of the wheel. In the aggregate of perception concerning which we have reflected and from which we have deduced our generalizations upon the world without, within, above, there are so many ghastly and fantastical images that they must obtrude themselves at certain intervals like filmy bits of glass in the turn of the kaleidoscope. Probably every accident of which I had heard or read in my half-century tinged the uncertainty that by the correlation of forces passed over into the tremor that I felt when we began to round the terminus bend of the broad Priory walk. And who shall say by what original energy the mind forced itself at once from the contemplation of disaster and thrust into the very movement of the foot on the pedal a concept of vigor, safety, and success? I began to feel that myself plus the bicycle equaled myself plus the world, upon whose spinning-wheel we must all learn to ride, or fall into the sluiceways of oblivion and despair. That which made me succeed with the bicycle was precisely what had gained me a measure of success in life — it was the hardihood of spirit that led me to begin, the persistence of will that held me to my task, and the patience that was willing to begin again when the last stroke had failed. And so I found high moral uses in the bicycle and can commend it as a teacher without pulpit or creed. I feel the truth of Willard’s point that the mind is at least as important as the body when it comes to riding; where I’m limited as a rider, it comes from mental weakness — laziness and fear, in particular. I could work harder and ride more if had more mental drive, and I am limited by my fear of riding fast, particularly in a large, tightly-packed group, and especially around corners. At times I’m haunted by the “ghastly and fantastical images” Willard describes — images of terrible crashes and collisions with cars and severe injuries. This fear probably only hurts me rather than helps keep me safe — I’m not at all likely to be reckless and so don’t need fear to hold me back, and timidity, at least when riding in a group, can get one into trouble. That’s a great quote. Does the book give much biographical information? She seems like such an independent spirit I’m not at all surprised that she was also a suffragette. You might have already mentioned this when you got the book–was she American or British? This book seems destined for you. I’ve thoroughly enjoyed your comments and think much of what the author says can be applied to life in general, but Willard’s love for the bicycle combined with her intellect and the courage to separate herself from the crowd at that particular time give her a particular charm. I like that, wobbly mind equals wobbly wheel. It works with more than bicycles. Willard was a smart woman. She sounds quite a star, doesn’t she? I wish I had half her nerve – or half her willpower! Danielle — she was American. The book doesn’t have much biographical information, but I’ve been finding out more from other sources, and there is a biography available — it might be fun to check it out. Jenclair — I’m glad you’ve enjoyed them! And you’re right, it’s the perfect book for me. Willard WAS so courageous, and that characteristic shines through in this book. Stefanie — smart, indeed. I do like her riffs on life and humanity and morality — she’s so good at drawing lessons from her experiences. Thank you for being so accommodating to my wishes. 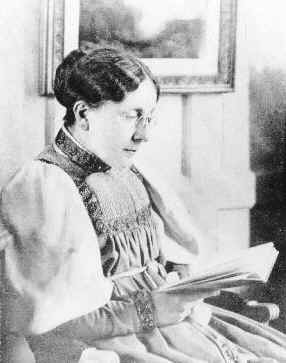 I, for one, won’t mind a daily post on Frances Willard at all. I think she’s becoming my hero, too, and I don’t even bike. (I also think I’m going to have to add the book to my TBR list after all. Or maybe I can just read it sometime when I come to visit you.) This is just a terrific quote. Makes me think about the way the mind interferes with so much of what we do. Meanwhile, “lazy” is not a word I would use to describe you and your relationship to your bicycle. Very interesting — thanks for commenting. Frances Willard is a wonderful source of inspiration I can see!